In two precedent setting rulings, the Washington Supreme Court expanded the privacy expectation of text messages on both statutory and unlawful search and seizure grounds. Washington’s Supreme Court Ruled on February 27th the people have a right to privacy in text messages even if the person cannot be certain someone is reading them the court held. In State v. Jonathan Nicholas Roden the defendant asked the court to decide whether Washington’s privacy act protects text messages intercepted by a detective who possessed the intended recipient’s cell phone after a warrantless seizure. In State v. Hinton the court held that a text message conversation was a “Private Affair” protected from warrantless searches as enacted in Article I Section 7 of the Washington Constitution. 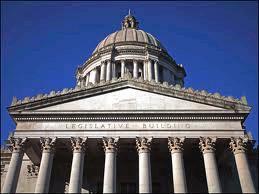 The Washington State House of Representatives have crafted House Bill 2272 titled “The Fourth Amendment protection act” with the purported purpose of protecting state citizens from unwarranted collection of data that is provided to various agencies of the United States government without a search warrant. The act includes provisions that allow for a citizen to be arrested for complying with the U.S. government and sanctions local agencies and employees with even harsher penalties. One has to wonder which is a greater threat to individual liberty, the actions of the federal agencies targeted or this potential state law. On an August afternoon in 2008, Hickman County, TN resident Robert Andrews was working on a trailer in his yard when two deputy sheriffs pulled up in front of his house, along with three caseworkers from the Tennessee Department of Children’s Services. They approached Mr. Andrews and asked permission to go inside his home. They did not have any kind of warrant or court order, so Andrews told them they did not have permission to enter his home. Despite his refusal, all three caseworkers and one of the deputies entered the home and searched the place. They also took each of his four children aside for interviews out of his earshot. Then the officials left. Neither Andrews nor his wife, Patti, was ever accused of a crime in connection with the visit. They were not afforded the opportunity to contact a lawyer or have a lawyer present for the interrogations of the children. At no time before or since that incident was any member of the Andrews family ever accused of any crime in connection with that visit. Those events at the Andrews home led to a lawsuit against the caseworkers. There was also a similar lawsuit from another family in Ohio. Both cases ended up in front of the Sixth Circuit. The U.S. Court of Appeals for the Sixth Circuit used the cases to specify that caseworkers, like police, are agents of the State, and therefore controlled by the Fourth Amendment to the Constitution. This is the first time a Federal appeals court has specified that caseworkers from children’s services departments must abide by the Constitution. More over the flip, including the full text of both Sixth Circuit decisions.